This is a lovely 5k run combining the paths around the pretty Nygårdsparken (park), Store Lungegårdsvann (lake), and the small campus of Bergen University. It can be started from anywhere, or easily accessed from the center. We start at the Nygårdsparken fountain, and then do a loop around the lake, which is ~ 3 k. It is mostly on dedicated paths, with a couple of on-road sections. 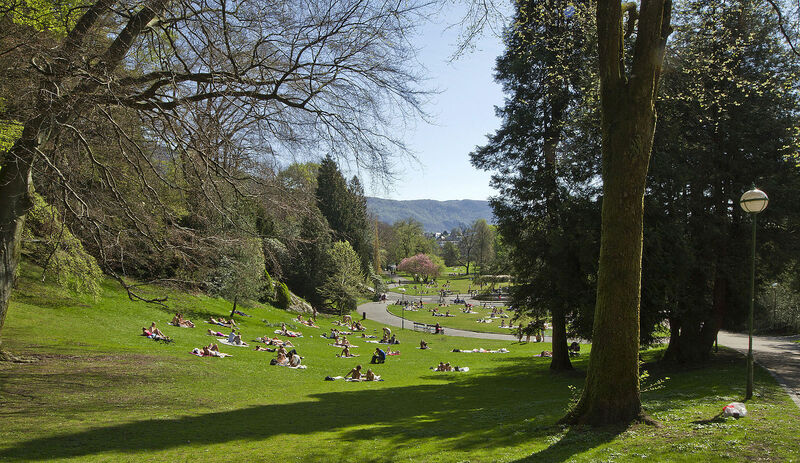 Complete the loop, crossing under the bridge, and enjoy a pleasant 2 km loop around the park paths, heading north toward the small Bergen University campus. 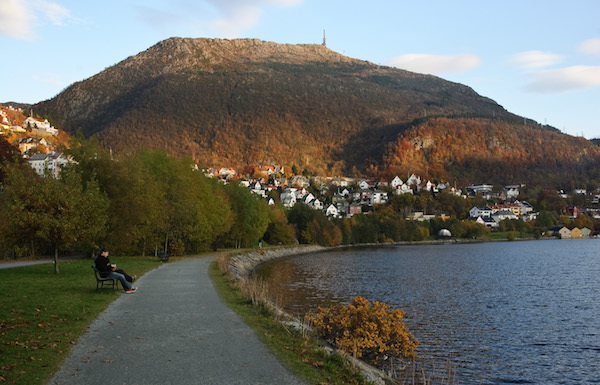 Longer Run: combine with our Bergen center run, and head down to the Nordnes peninsula.